Limited time offer for Home Cleaning in Baltimore -- 30% off your first booking! When you’re looking for home cleaning in Baltimore, we want to help you a professional cleaner through the Handy platform to tick all your boxes. Handy has been helping connect customers to professionals to keep homes clean and tidy since 2012. Booking a house cleaning service through Handy couldn’t be easier. With secure online booking and payment, it just takes a few clicks to book the house cleaning services you need, whether it’s a regular, recurring housekeeping service or a one-off. From a deep clean when you move out of your apartment to a regular slot each week to keep the family home spotless, home cleaning experts booked through the Handy platform are here to make your life better. Cleaning your house takes up so much of your precious time. That’s time you could be spending with the kids, learning a new skill, or just relaxing after work. Here at Handy, we’re proud to put you in touch with cheap Baltimore house cleaning whenever you want it. All the professionals booked through our platform are friendly, vetted local cleaners who take real pride in what they do. Home cleaning in Baltimore come with a full suite of services, including vacuuming carpets and mopping floors, wiping down kitchen surfaces (including the outside of the fridge and oven), plus a full bathroom clean and sanitization. Your new home cleaner will even take the garbage out. 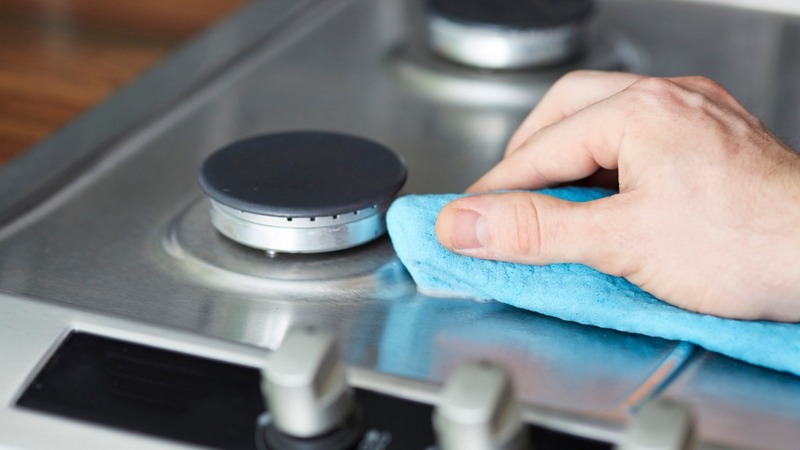 If you really want to save yourself a heap of time, you can book extra services too, like laundry, interior window cleaning, and even oven cleaning. Your maid service is tailored to your needs so even if your plans change, just give us at least 24 hours notice and we’ll rearrange your booking, no problem. Home cleaning services in Baltimore aren’t just for busy moms and chaotic families. Maybe you’ve just started a tough job and want to be able to relax in the evenings and weekends instead of cleaning. Or perhaps you work from your home office and want to focus in a clean and tidy space? Not a problem. Book a home cleaning and your chores will all be taken care of by dedicated cleaning professionals. Home cleanings can be lifesavers in special, one-off situations as well. If you’ve had guests over for the holidays and are struggling to clean up after them, just head on over to the Handy app or our website and book your Baltimore cleaner today. When you hand over your housework list to a friendly, professional home cleaner, you save yourself time so you can focus on what’s important to you. Because all cleaners booked through the Handy platform arrive with the equipment they need, there’s nothing you need to do once you’ve booked. With a secure online payment system, you don’t even need cash. And the Handy Happiness Guarantee means that if you’re not happy, neither are we, and we’ll work hard to make things right. Whether you live in Frankford or Allendale, Curtis Bay or Reservoir Hill, booking the best house cleaning service in Baltimore is going to open up some serious free time. Now you can go to that dinner party, take the kids out for a boat trip, or spend time working on your new business idea without feeling guilty about the house being such a mess. Why not visit the latest exhibition at the American Visionary Art Museum, or catch a Ravens game? When you relieve yourself of housework and make time for you and your family, the benefits are huge. Get more time and make a booking through our Handy platform for a house cleaning you won’t regret.